Had this but it had a pressing fault that caused a tick through half a track so I exchanged it, I now wish I'd held onto it. 20 years on the album enjoys a strong legacy – with Galactaphonic-era tracks making up a big portion of the band’s incendiary live shows. 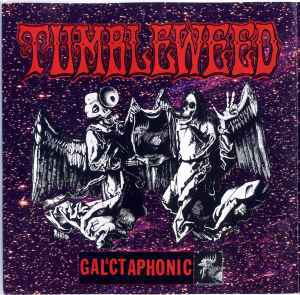 Singer Richie Lewis remembers “Out of a tumultuous storm in the craziest of times Galactaphonic was like trying to bottle a wasp nest. But we had it, and in comparison to the first record I thought this one was vibrant and electric, dangerous and sweet. Every waking hour was about the band, we soaked up everything around us, mixed it up in our whirlpool and channelled it into the album”. Now in 2015 – Galactaphonic becomes ‘SuperGalactaphonic’! This reissue collects the original 13 track album and expands it to a sprawling 34 track celebration. Included in the set are the 9 B-Sides/EP tracks from the album – now made available digitally for the very first time. Also part of the set are 7 previously unreleased live tracks from triple j sessions around the release (4 from triple j Live At The Wireless and 3 recorded by Triple J at Livid 1995). The reissue is rounded out by five cassette demo recordings recently unearthed by the band; alternate versions of ‘Hang Around’, ‘Gyroscope’ and B-Side ‘Round The Bend’ – alongside two wholly unreleased-in-any-form tracks ‘Salamander Sam’ and ‘Paddy The Pram Man’.